I'm glad Libby and I reconnected, as she seems to have been meant to be part of the series for awhile and she is also enjoying all the other interviews here! She was recommended by a future dietitian that I know, which I think is very inspiring and is perfectly inline with what she aims to do. Libby helps her patients/clients, students, other healthcare providers and fellow dietitians through various endeavors. She recently had me on her podcast, so it was interesting to be on the other side of things and focus on my personal brand. I became a Registered Dietitian to link fitness and nutrition. My first career is in fitness; I’ve been a Certified Personal Trainer for over a decade. I initially wanted to combine the two fields and run a private practice to promote wellness. I’m a Clinical Dietitian, Academic Lecturer/Course Creator, Speaker and Business Coach to Registered Dietitians. I’d like to lead the future of dietetics and inspire newer dietitians to take action and develop a strong personal brand. I manage multiple steams of income. 1. As a Clinical Dietitian, I provide Medical Nutrition Therapy and counseling to underserved patients and families in the South Bronx, NYC. I also work overtime weekly with a different team providing the same nutrition services. I help adult oncology and pediatric patients and families. 2. As an Academic Content Creator, I create multiple curriculums for healthcare providers including, pediatric residents and dental residents. Two of my nutrition education interventions have been International Review Board (IRB), approved for possible publication. 3. As a speaker, I both talk about Medical Nutrition Therapy (Faculty Speaker for 1199 union in NYC) and I speak about how dietitians can leverage their personal brands by using social media effectively. I also teach workshops at local schools, both to staff and dietetic students. 4. As a Course Creator, I develop various courses for Registered Dietitians, both live and online based. I also co-facilitate Nutrition Masterminds with fellow dietitian Rachel Paul. 5. 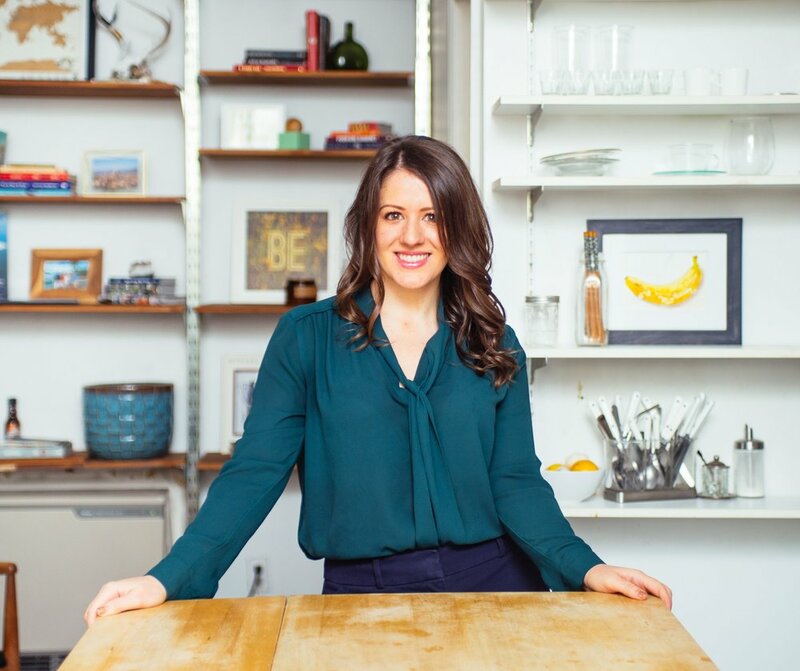 I coach Registered Dietitians on brand building and creating an authentic voice on Instagram. I’m a second career dietitian. I started as a Certified Personal Trainer and ran my first independent business in NYC during undergrad, grad and my dietetic internship. I initially thought that I wanted to go into private practice and help with 1:1 counseling. I love creating my own path and helping others, but I realized after my first business that I wanted to create a second business that’s scalable and more impactful. My current business is intended to empower the field of dietetics and show dietitians how collaboration and leadership are essential skills. In 5 years from now, more dietitians will niche down, feel confident and run their own businesses as entrepreneurs. In 5 years from now, the idea of collaboration among both other dietitians and healthcare providers will be more common with systems in place. In the near future, I strongly believe that we must strengthen our relationship with technology and learn how to move forward with apps, social media and the use of video to position ourselves as experts in the field of dietetics. We have all specialized talents and target audiences. I think that in the future we will all have to niche down and be known for a specialty in dietetics. If in the future, the word “dietitian” will be too generalized, so I encourage us to ask ourselves now: “What makes me different and how can I take action to stand out right now?” My focus is inter-collaborative care and I use video as a medium to story tell and solve problems. I encourage dietitian’s to pick a niche (i.e. diabetes, gut health) and then a medium (such as video, photo, or voice i.e. podcasting) and build your business and personal brand immediately. There is no time to waste. I am passionate about Social media, business and branding, inter-collaborative care, and technology (gameification, augmented reality and virtual reality). I think that phone apps and e-learning is evolving, and we must adapt as educators and find new ways to educate consumers, healthcare providers and each other. When I teach healthcare providers, I use multimedia as a medium and active learning as a style to educate. I feel that as educators we need to adapt with how people experience and seek information. The true answer is education, but the practical answer is: the difference is how you define it. If we want to be seen as unique, we have to take the steps to develop a strong personal brand and stand out. I recommend evaluating who you are serving, create an ideal client profile and solve their problems. I think that we worry so much about being compared to nutritionists, but we don’t spend enough time investing in our self/self-development. My favorite leader in the field of nutrition isn’t a dietitian (Dr. Marion Nestle). Dr. Marion Nestle has focused her life on making an impact in the field of social justice and food politics and she’s made a profound impact on my perception of the field. I think that we need to reframe our mindset and focus on how we can add value and develop, fine tune and make impacts with our individual purpose driven businesses. When you change your mindset, you realize that this question is how you solve it. How will you decide and define yourself as different and what steps will you take? I believe that this is how Dr. Marion Nestle approached her personal brand and she has made a lasting impact among her niche. She inspires me to stand out and create a clearly defined culture for my business. I like a warm, seasonal vegetable bowl, or peanut butter and jelly sandwich. Read at least 10 other interviews from this website and then reach out/thank at least 5 of those who made an impact on you. I am going to message a recent dietitian named Robyn Kievit Kirkman. I also joined her email list and I really liked her answers to these interview questions. I will also circle back to Wendy Kaplan who has a clearly defined “Why” for her business with helping oncology patients. A strong “why” is where we all need to start with defining out business and personal brand.